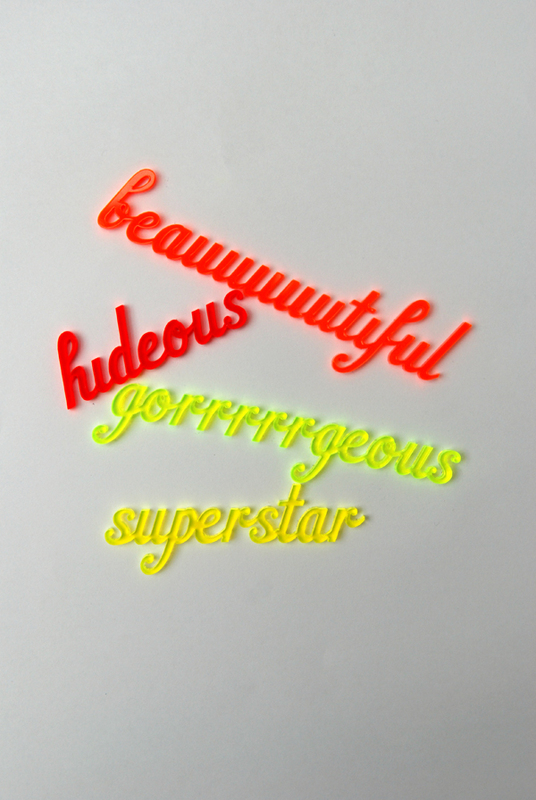 beauuuuutiful / gorrrrrgeous / hideous / superstar vinyl leser-cutted words – Gerrardisms made by Morag Myerscough and Maureen Bryan for Gerrard O’carroll’s Velvet Underground memorial birthday party. This entry was posted in Blog and tagged gerrardisms, laser, laser-cutted, words by Vilma. Bookmark the permalink.